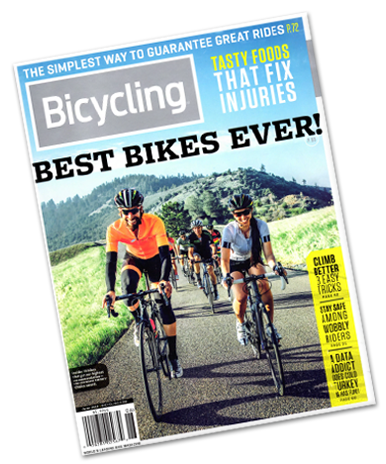 You might find we even have more in common than that bond of a great bike ride. Really got into biking in 1994, borrowed my stepdad’s hybrid bike and started mounting biking on it. Picked up a GT Timberline about a year later and haven’t been without a mountain bike since. 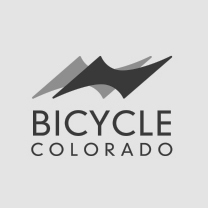 Started road riding in 2002 after moving to Boulder, Colorado. Spend the rest of my time camping, snowboarding and paddleboarding with my family. 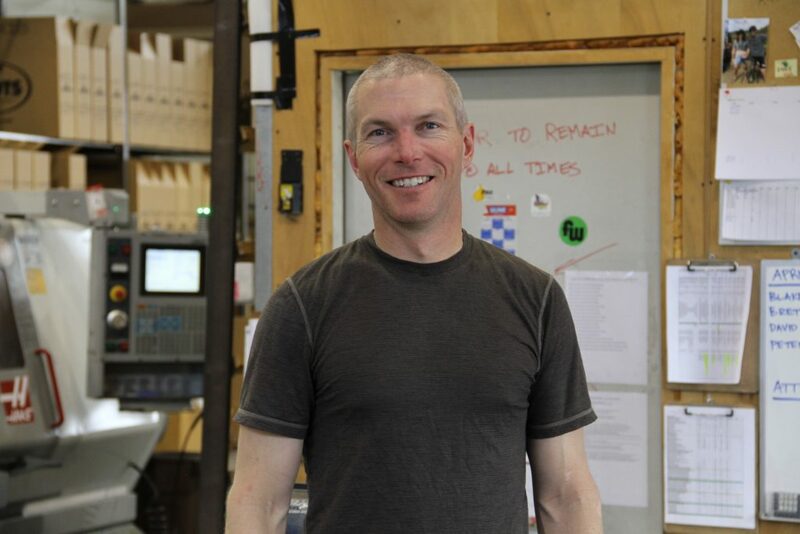 Parts Program Manager Manager…going on almost 5 weeks at Moots…from Hartsville, TN…learned to run trails next to my Dad’s 2008 Moots Rigormootis…loves any trail near a creek…admires Matty Pronovost and Frida…daydreams about running awesome trails while dad pedals, stopping and swimming in a river, eating some treats, and then sleeping in the car all the way home….”My dad got me started following his bike when I was 10 weeks old. By the time I was 4 months I could run a whole mile with him. 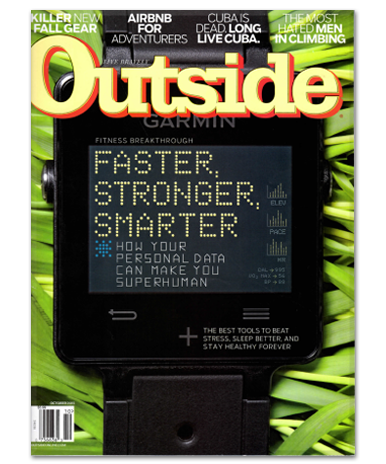 By 6 months we were doing 20-30 miles. I absolutely love it! I never cut trail and sometimes I wish Dad could ride faster, especially uphill. I usually have to bark at him to get him to hustle up. Slow humans.”…I like food. Do you have food? Is that why you’re asking me about food? Are you going to give me food? I see you’re eating something,is that food? Can I have that? Please? Can I have that? Please? 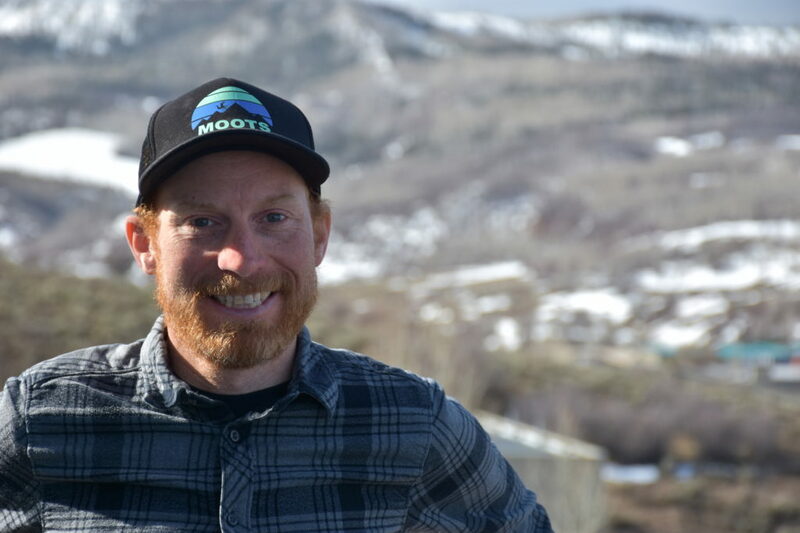 At Moots since 2011…in Steamboat for 25 winters and counting…grew up in Napa, California…backcountry tele skier…in 1990, Michael married Stephanie,then loaded mountain bikes and camping gear into their Honda Accord and took a six week honeymoon in the Rocky Mountains. 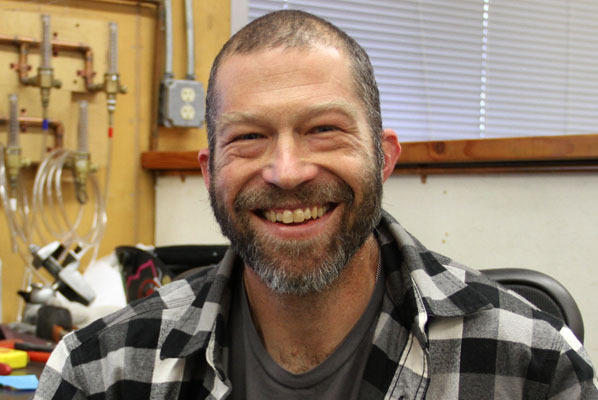 While passing through Steamboat, they ended up staying for a week, found jobs, a place to live, took out a steel Moots mountain tandem for a ride, and the rest is as they say history…first bike – Michael has three brothers so they fought over and traded everything, especially bikes…the first bike he called his own was a black Schwinn Stingray, followed by a gold Typhoon…currently in his garage – Moots Rogue YBB, Moots Vamoots CR, and a 1988 Breezer…loves anything singletrack in Steamboat particularly the full MRP…outside of Steamboat it’s Independence Pass…dream cycling trip is a tour of Patagonia…breakfast burrito pre-ride and salty chips with an IPA following…admires John Stamstad…when not riding Michael is listening to music and planning his next ride…speaking of music…Michael loves seeing live music: rock, blues, bluegrass, reggae, jazz, just about anything. • Hometown – Born in Sweetwater, TX, home of the Rattlesnake RoundUp. 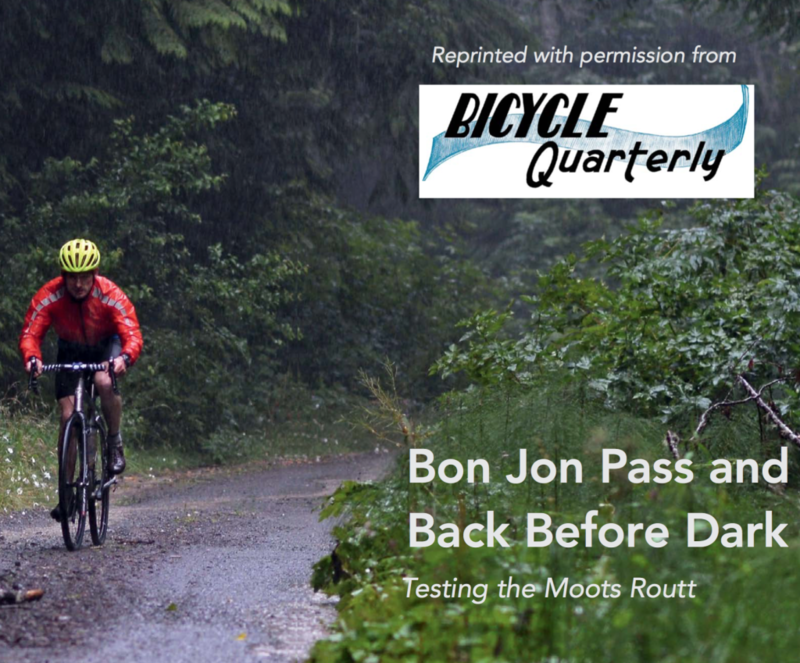 • Time at Moots – Still the new guy. 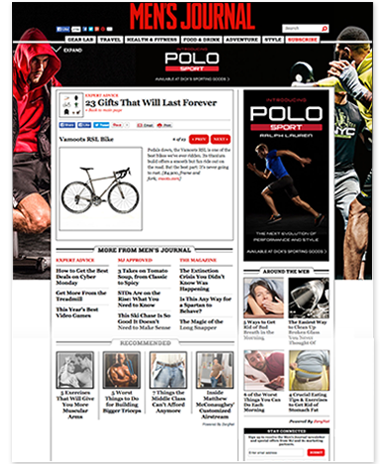 • What draws you to Bikes – Riding is the perfect Zen balance between freedom and suffering. • Life changing moment on a bike – At ten years old, I tried to impress a girl by jumping my BMX bike off a handicap ramp. Long story short, I ended up with a concussion and a compound fracture. She was not impressed. 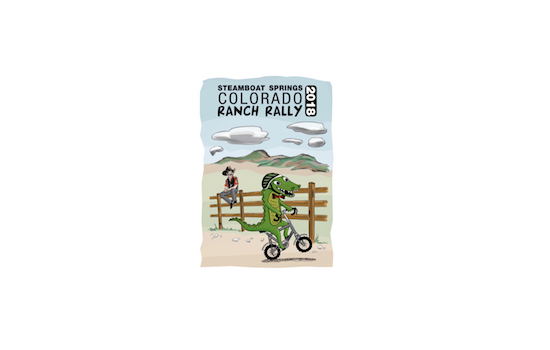 • How did you end up in Steamboat? 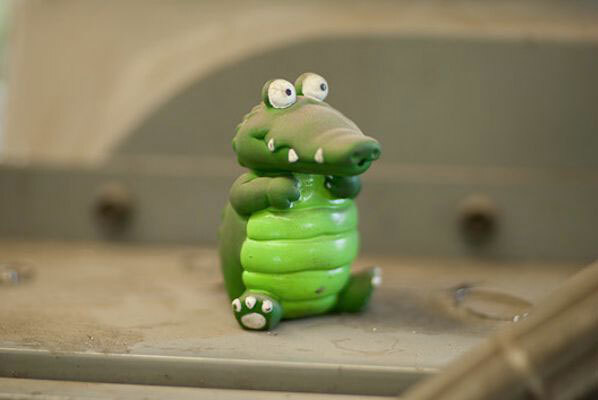 – Followed the smiling alligator. 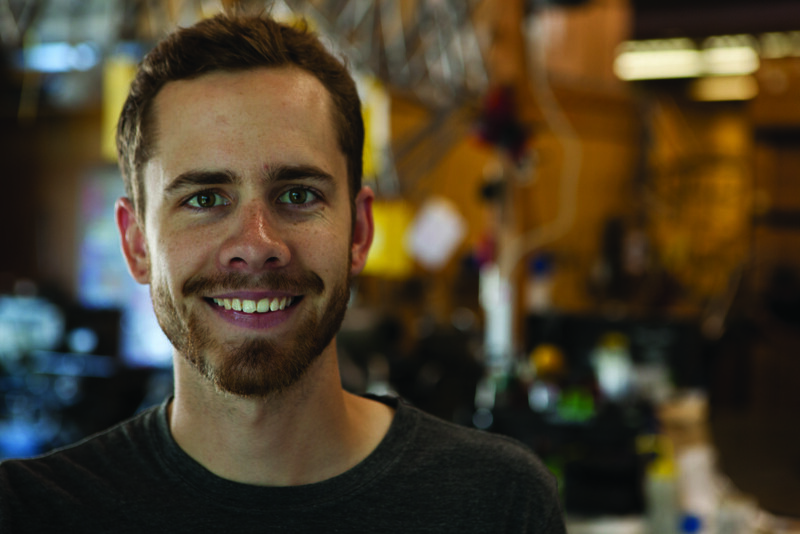 Danny is our newest Sales Associate, and Steamboat local since 2010 (minus 2 years living in the SF Bay Area, working for Specialized). 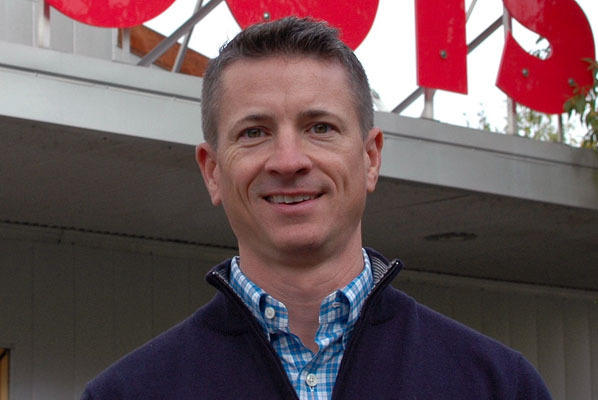 Born in Bozeman, MT and grew up in the Pacific Northwest just outside Seattle in Bellevue, WA. He moved to Steamboat to get out of the PacNW rain and see the sun! In typical Steamboat-transplant fashion he moved to town in the winter and stayed for the summer. He married his lovely wife, Kirsten, at the Columbine Cabins in North Routt County, and has two firecracker daughters, Éloïse and Margaret. 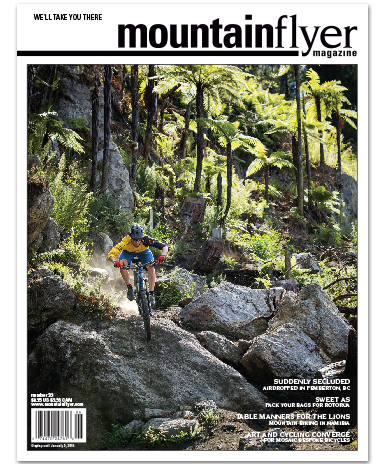 He’s a mountain biker first, but also loves riding road (pavement and dirt), commuting, towing his kids in the trailer, and JRA. Is a Telemark skier (nobody cares…), snowboarder, hiker, traveler, cartographer & geographer, linguist, chef, and of course devoted father and husband. 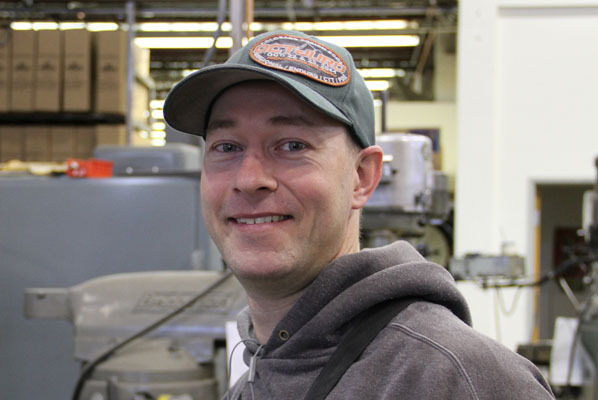 Has worked in bike shops since high school, and alumnus of Moots dealer Orange Peel Bicycle Service. 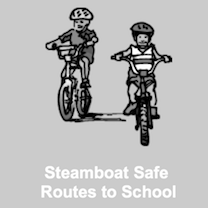 Favorite rides in Steamboat are anything in the high country to a spot where there’s a view, Spring Creek & Emerald Mtn. (at night), in-town singletrack, and the Emerald Loop. 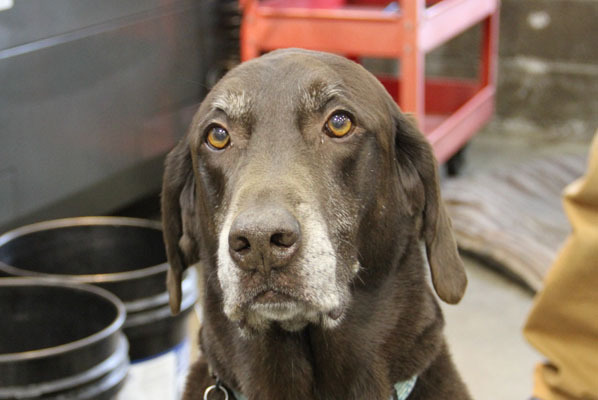 Baxter the Chocolate Lab–2006-2017 R.I.P. Moral Support, post lunchtime vacuum cleaner, watchdog for the mail lady who brings rather large biscuits…time at Moots 8 years…hometown Evergreen, CO…moved to Steamboat ‘cause he wanted to live the dream too….loves bananas (he’s a freak for bananas) and pretty much anything else…favorite thing to do at Moots – follow Evan around the shop all day step-for-step…after work Baxter looks forward to swimming in the Yampa River. 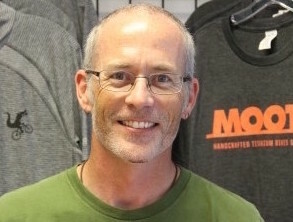 Worked at Moots 3.5 years…in Steamboat Springs 7 years…originally from Shelton, CT…came to Steamboat to be a ski bum for a season…telemark skier…first bike was a Nishiki Colorado… got into cycling at 13 – “I rode a trail behind a friend’s school and was hooked.”…favorite Steamboat ride is Dumont Lake to the Ski mountain (Continental Divide Trail/Mountain View)…likes eggs before a ride and an icy cold Dr. Pepper afterward…when not on his bike, Blake is tracking his Mazda Miata…a cyclist he admires – Moots’ own Corey Piscopo…if you didn’t know…Blake is into cars as much as he’s into bikes. 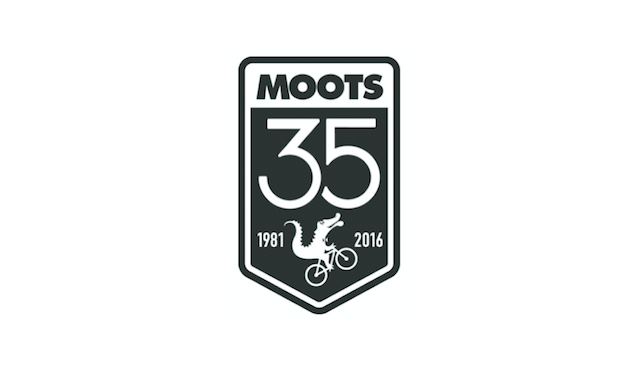 I was fortunate enough to buy Moots in October, 2015 and am proud to be part of this team. 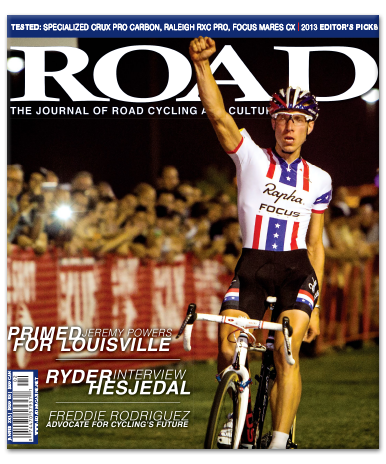 I’ve been a passionate cyclist most of my life and to combine my personal and professional interests is truly exciting. 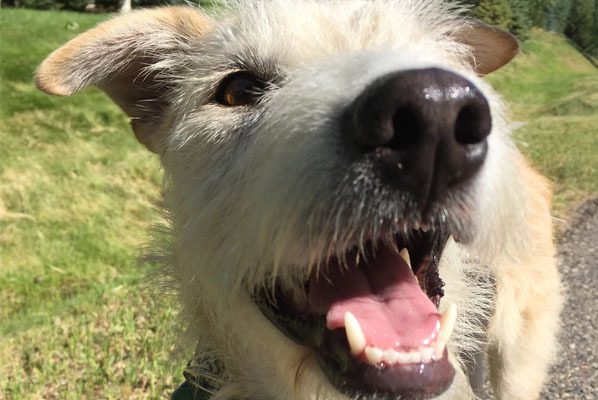 After years in the corporate world, I grew tired of that experience and was looking for something more fulfilling and Moots was a perfect fit. 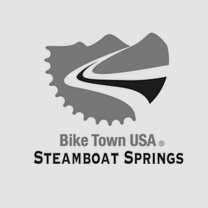 This is an incredibly talented team of cyclists who handcraft these beautiful bikes right here in Steamboat and have a tremendous culture that was just what I was looking for next. 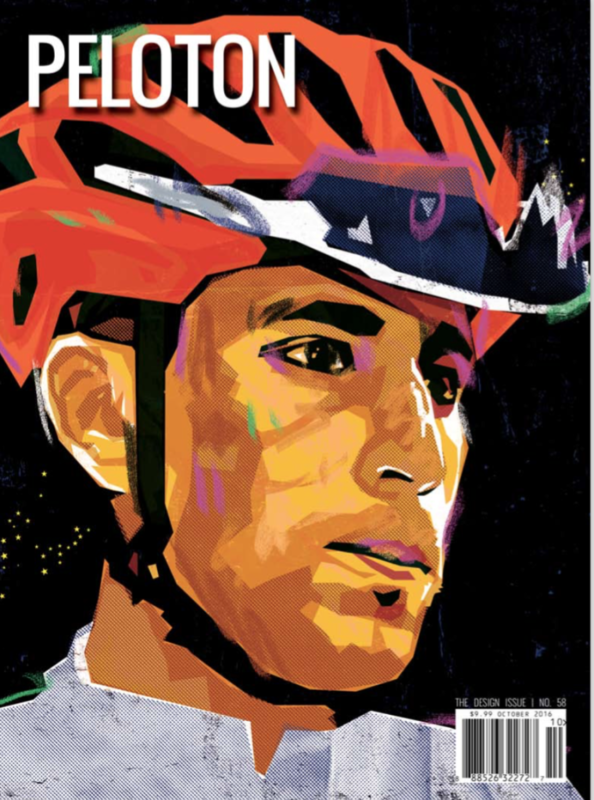 I grew up cycling as a kid and never grew out of it I guess. Years of riding all over the neighborhood for fun with my brother turned into a way of life. I’ve had many bikes and the one I remember most was a Specialized Stumpjumper, my first mountain bike that I purchased in 1990. 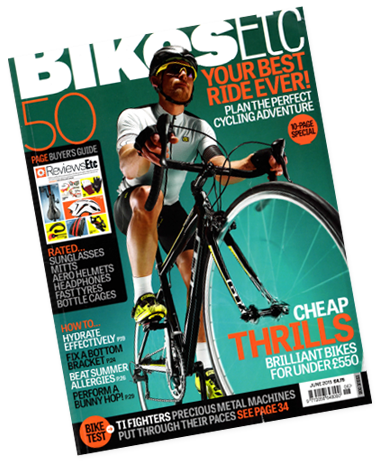 Believe it or not, the shop actually financed it for me or I’d never have been able to afford that bike. My wife still gives me a hard time about that as I had no money left for evenings out. 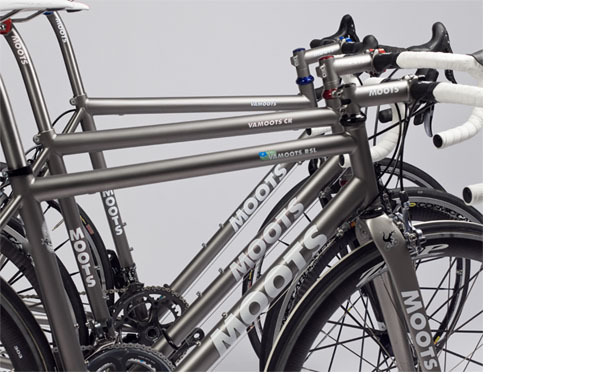 I am currently riding a new lineup of Moots bikes to include the Routt 45, Mooto X YBB and the VaMoots RSL. 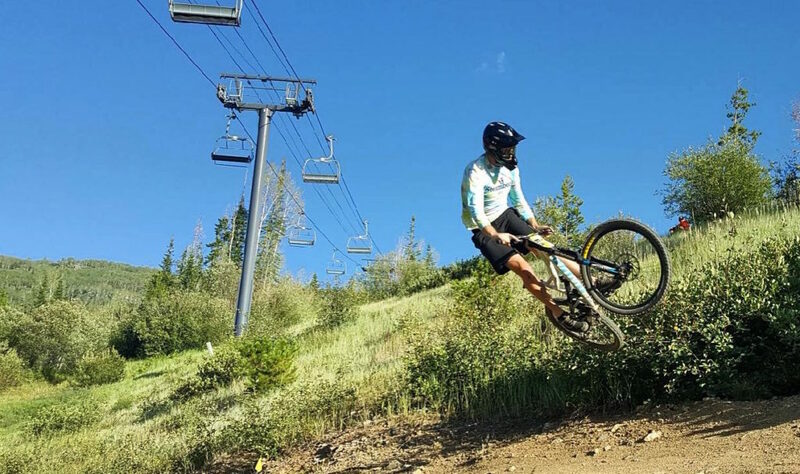 My favorite trail in Steamboat is definitely The Ridge with beautiful views and just a fun downhill. Outside of Steamboat, the epic trail the Womble, in Arkansas is without question my favorite. 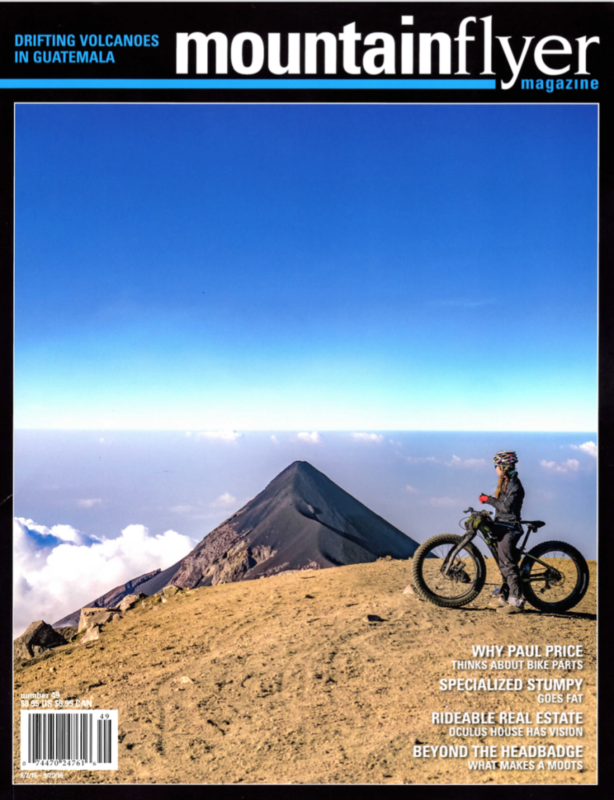 My dream ride is to tour New Zealand from top to bottom with no time pressures whatsoever – and with my wife, which is why this is likely to remain a dream. When not on my bike, I’m hanging with my family to include my wife, daughter (Makenna) and son (Nash). I love to read and am always into an interesting book. 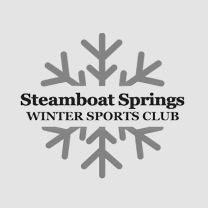 I got hooked on skiing in my early 30’s and am excited about the winters in Steamboat Springs. Should be able to ski each time I’m there and then get out and ride again when returning home to Little Rock. Oh, and I’m a huge Kid Rock fan! 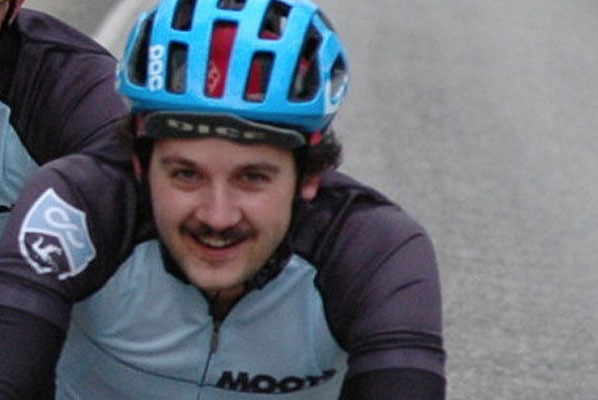 Brett joined Moots April Fool’s Day of 2015. 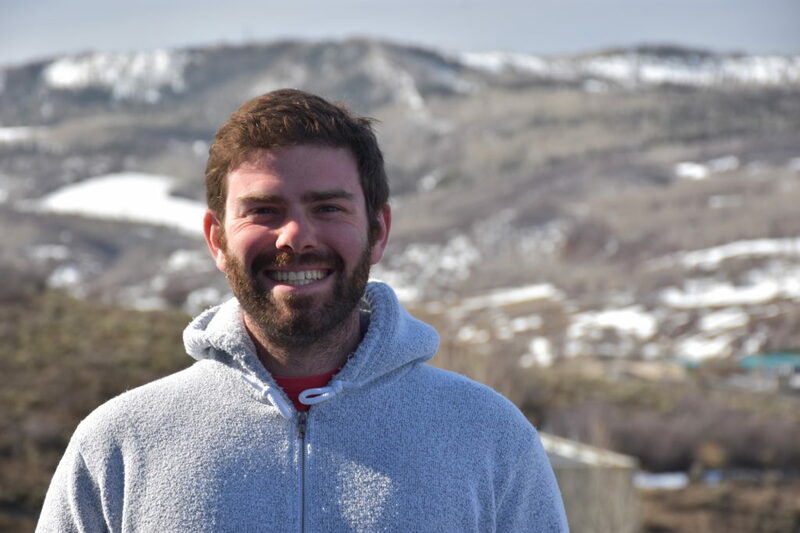 He moved to Steamboat Springs from Brooklyn, NY but when pressed, will confess to growing up in western Colorado. He refuses to pick a favorite ride. 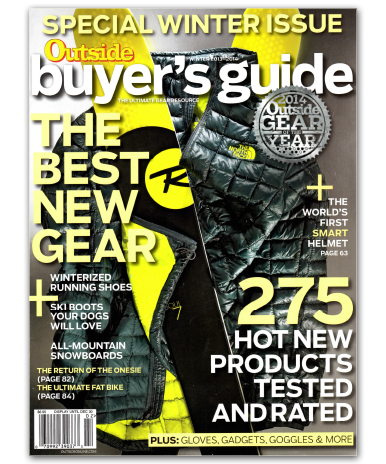 He likes his Rosko off-road bikes, and his Vamoots RSL. 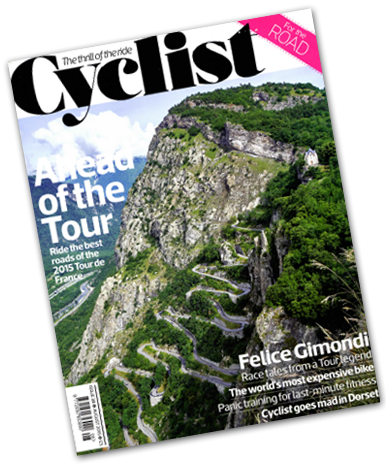 He admires Major Taylor, Gino Bartali, Graeme Obree, Bill Cunningham, Le Corbusier, Joan Miro and many others. 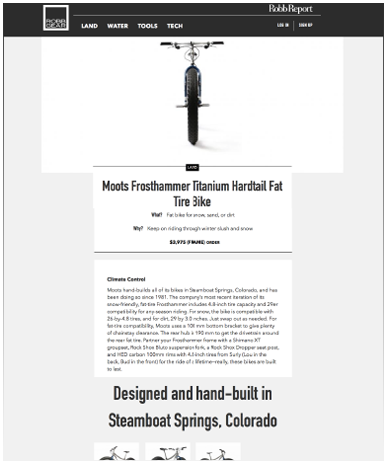 At Moots 15 years…in Steamboat 20 years this winter…moved to Colorado for college from Cleveland in 1990…came for the snowboarding, was originally a manager for a snowboard shop…loves snowboarding has no idea what skiing is…first bike – a really sparkly blue Schwinn Sting-Ray…currently rides – a commuter with Extracycle, a Moots Vamoots, a purple Dirt Jumper, an NS Soda for riding lift serviced trails, and a Santa Cruz 5010 for everyday mountain biking…favorite local trail ride – Burgess Creek Road to Creekside, back up to Thunderhead base, then up to “Gunsmoke” and down to EZ Rider or Bucking Bronc…thinks the Monarch Crest trail is amazing…wants to ride in the Pacific Northwest someday…burritos the night before a big ride is always a good call…when not on a bike, Caleb is skateboarding like an old man, fly-fishing, playing (or building something) with his son Finneas…he admires Major Taylor…his parents introduced him to cycling with that shiny StingRay. They rode Raleigh touring bikes around Europe before Caleb was born…if Caleb let’s his grow, it’s ridiculously curly. 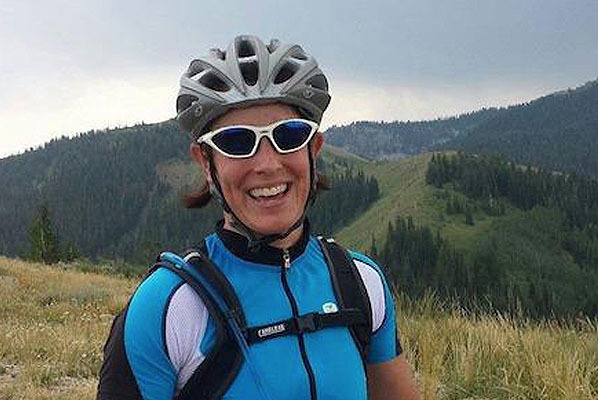 Length of time at Moots 3.5 months…been in Steamboat Springs 8 years…calls Albany NY home…her hubby’s ski coaching job brought her to Steamboat Springs…alpine skier…first bicycle was a red Schwinn with coaster brakes…current bicycles are carbon, but that will change soon…favorite Steamboat trail is Larry’s on Emerald Mountain…also likes the ride road riding in Switzerland around Lake Geneva…Elyse’s dream cycling trip is anything in Europe…she admires Fabian Cancellara (think there’s a Swiss theme going on here? 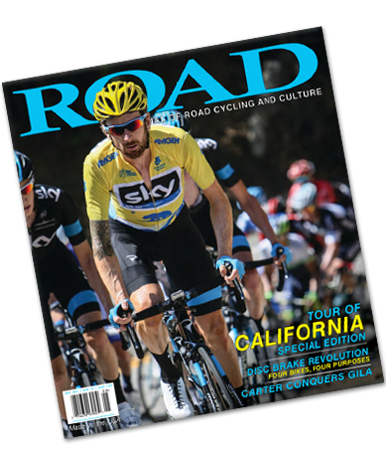 )…when she’s not on her bike, she’s doing Manic Training or ski racing…Elyse is thankful for her college friends who introduced her to cycling. 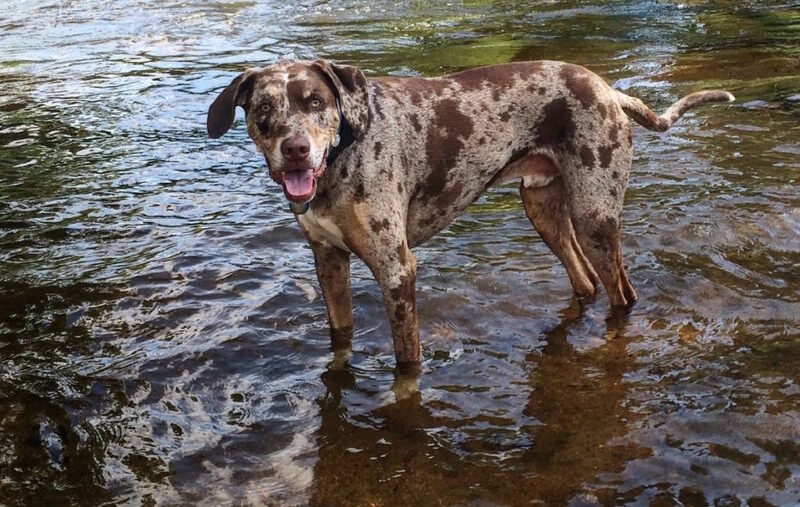 She’s been at Moots almost 3 years..rescued from somewhere AZ…arrived in Steamboat in a van via Summit County Animal Rescue…loves any container that needs to be cleaned…favorite past time…playing with favorite dog friends…24-hour face kissing rule may be instituted at any time. 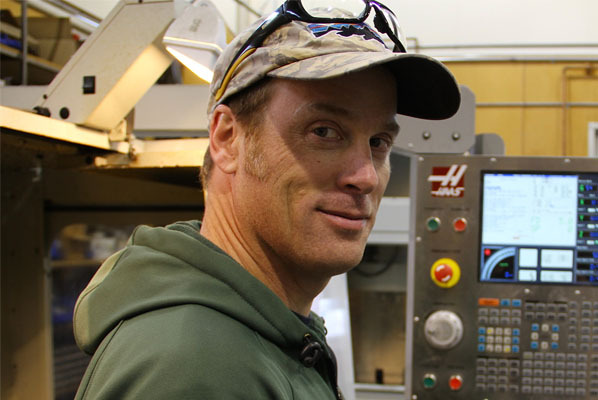 Midwest and Rockies sales guy…been at Moots and in Steamboat Springs for a year…lists hometown as Pittsburgh, PA…recently got an AT set up (he says, “…this is one step in becoming a curmudgeon local.”)….came to Steamboat to, “work for the best darn bike company in the world!”…currently has one more bike than he had before…will eat anything in a tortilla before or after a ride. time at Moots: 3 months! 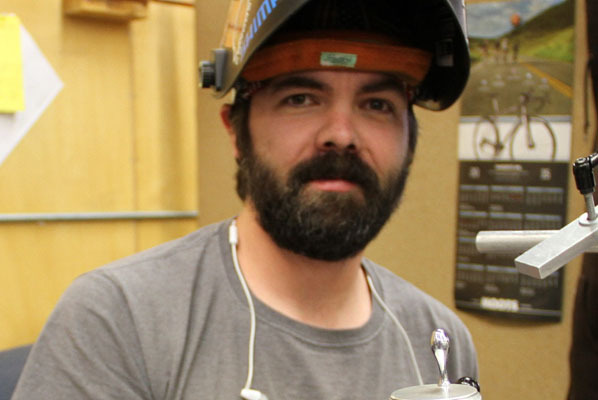 I was a fashion journalist, turned graphic design major until I toured a frame builder in Oregon and saw someone welding a frame. I immediately came back to Nebraska, quit graphic design school and enrolled in a community college to get a welding degree. Two years later, I’m working at my dream job. (Eeeeee!!) I also really like Star Wars but, ONLY the original trilogy.  Hobbies: climbing, riding all of the bicycles, and trying to cook. 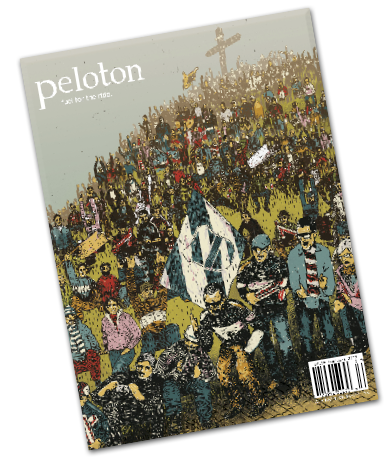 I grew up in St. Louis, Missouri and I don’t remember any of it, except for riding BMX bikes with my friends. 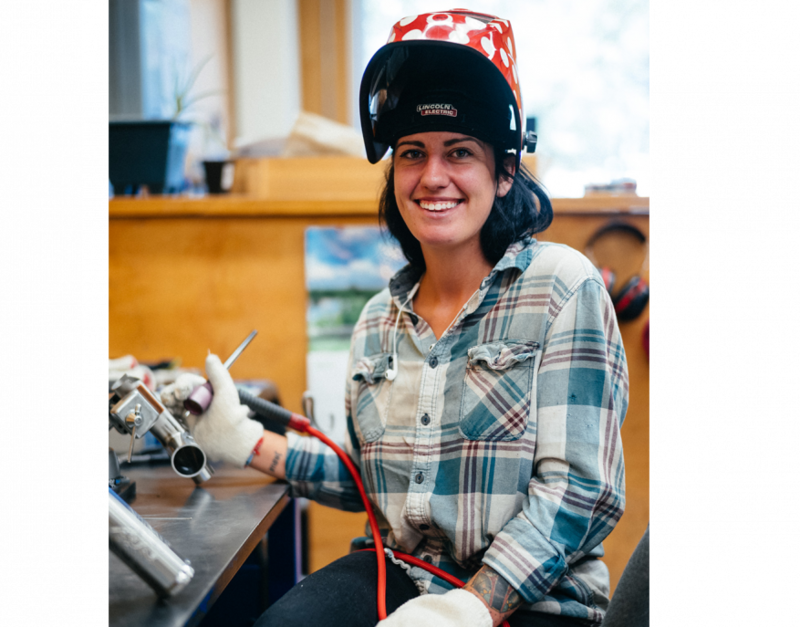 Eventually that turned into a high school job at a local bike shop where I was introduced to “real bikes.” Eventually, the city life made me yearn for something more relaxed, I landed in Steamboat springs where I continued riding bikes with my friends and working in a new bike shop. 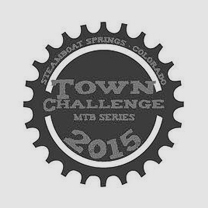 Catch me out on the Yampa valleys best roads and trails, or at Storm Peak Brewing Company! At Moots going on 8 years and 11 months…been in Steamboat Springs 14 years on and off…hometown is Waterbury CT…came to Steamboat for something different…first bike was a trash day find that was stripped, repainted and pinstriped by his dad…current bikes: Moots MX RSL SS, MX YBB SS, Psychlo X RSL SS, Frosthammer, Vamoots Compact, Intense SS2, Seven Cycles Elium Race Track Bike, 2001 Independent Fabrication Steel Deluxe and a few more…favorite ride is anywhere quiet… when not riding you’ll find Mattie with his dog, Frida. 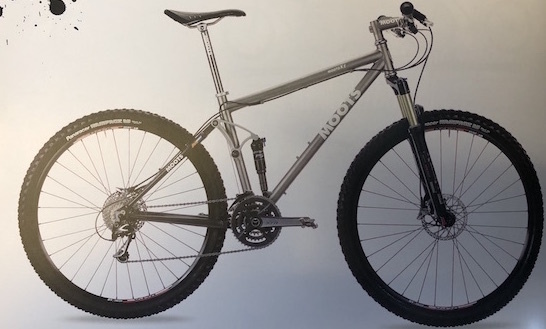 Since 1981 we’ve designed and built a lot of bikes, we’ve pedaled countless miles and have happily welcomed many owners into the Moots family. 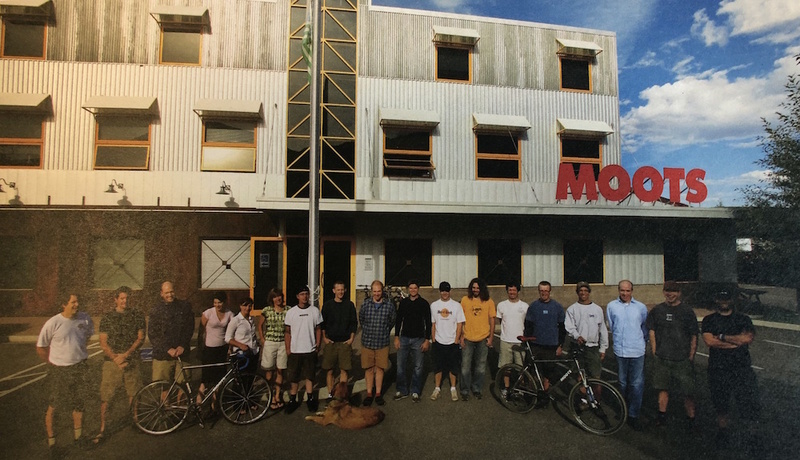 At Moots riding has always been a way of life and it’s our livelihood so rest assured we’re committed to handcrafting bikes and components for many years to come. 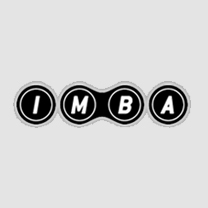 Proud of our storied history, we’ve selected several milestones to share. 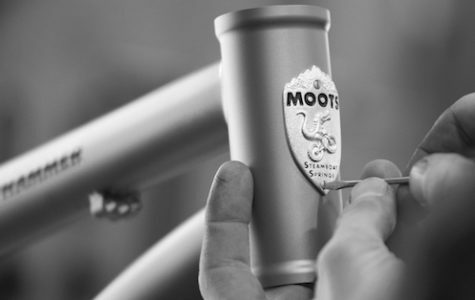 The first Moots, a custom steel road frame, rolls out the front door in Steamboat Springs, CO.
Moots introduces “road handles” (modern-day bar ends). 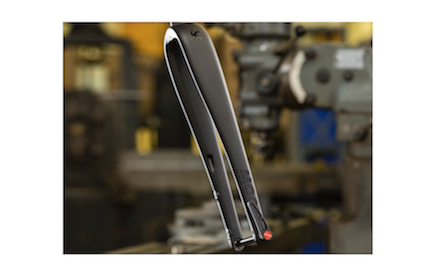 The first YBB (Why Be Beat), the industry’s first soft-tail design, is built, becoming our signature bike. 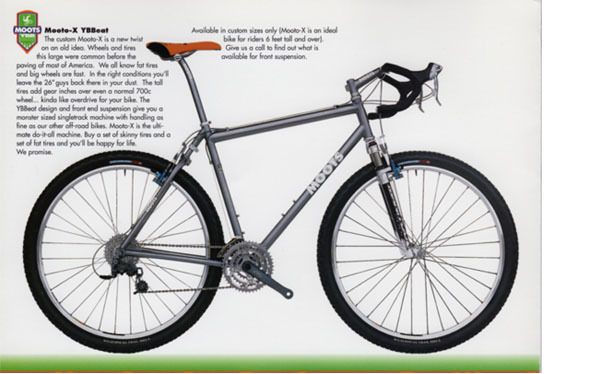 It becomes one of the most copied suspension frame designs in history. 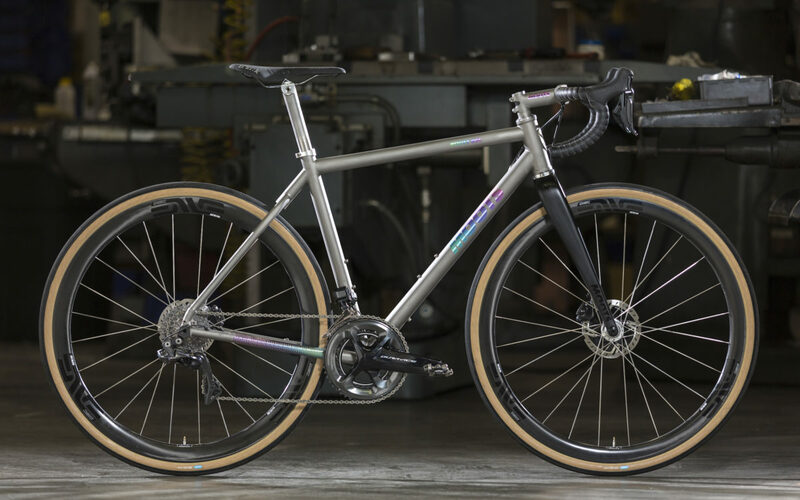 The first titanium Moots is displayed at Interbike and the magical material quickly becomes our material of choice. We expand the factory. 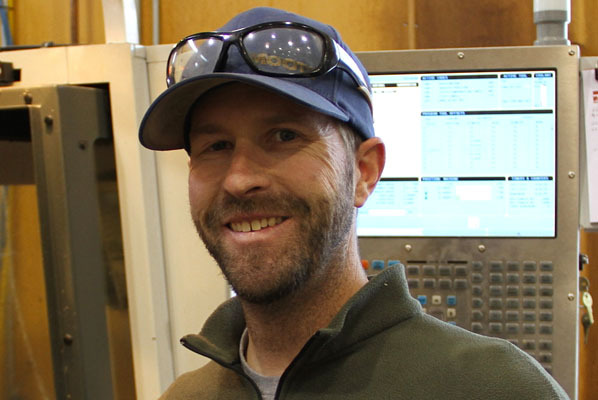 Chris Miller purchases Moots from Kent Eriksen, Trip Harrelson and Mike Sanders. 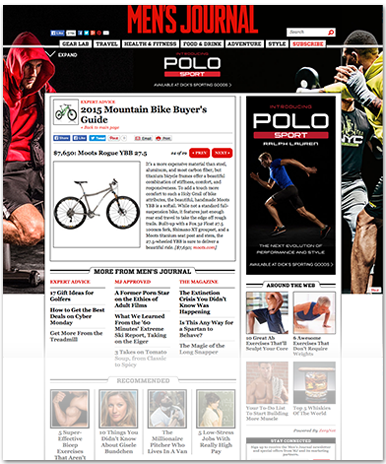 The Psychlo X cross frame is introduced. 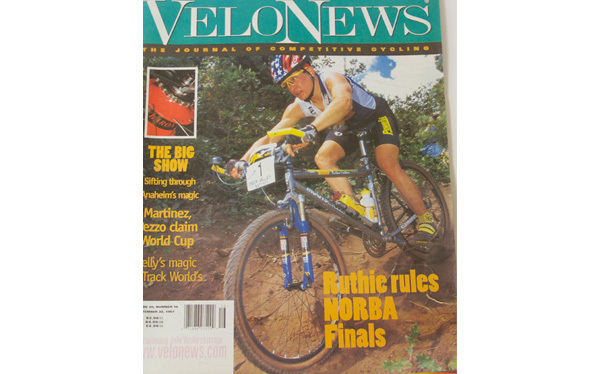 Pro racer Ruthie Matthes wins the ’97 National X-Country title on her Moots YBB in Park City, UT. 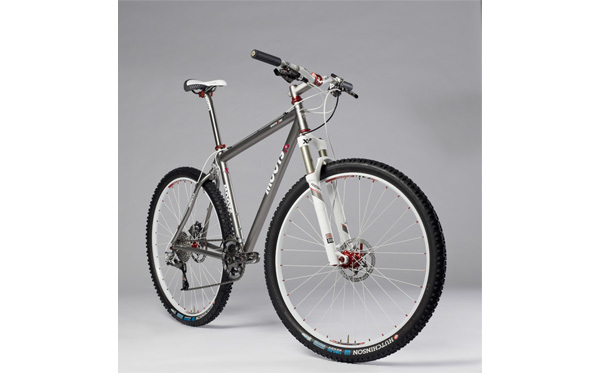 Our first 29er, the Mooto X YBB becomes part of the fleet, nearly a decade ahead of the 29er craze. 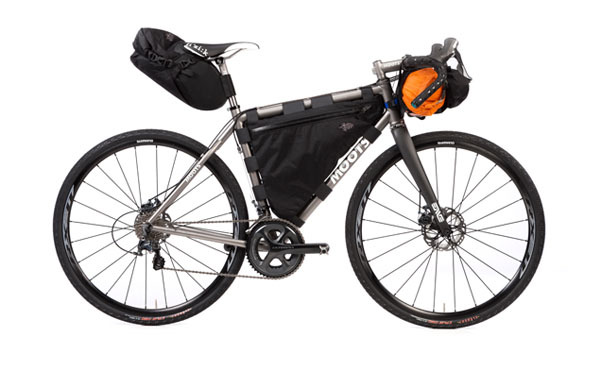 The Moots Tailgator is introduced and is an early precursor to modern day bike packing set ups. We move into our current, state-of-the-art factory. 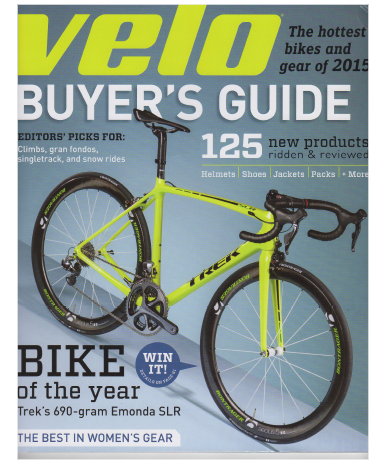 Super Light (SL) Road and MTB models introduced. A year after moving into our new building we are able to increase capacity while holding our quality as high as ever. 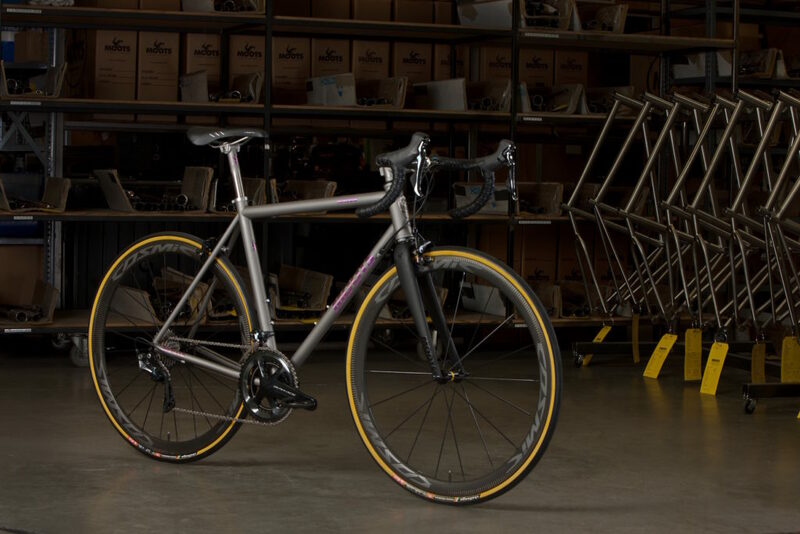 Utilizing a butted, seamless 6/4 tubeset from Reynolds Moots adds 2 SL or "Super Light" models to the line. 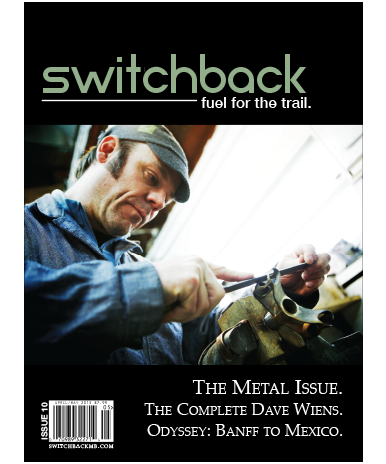 Consider a "retrospective" year, Moots focuses on building bikes that are purpose driven. 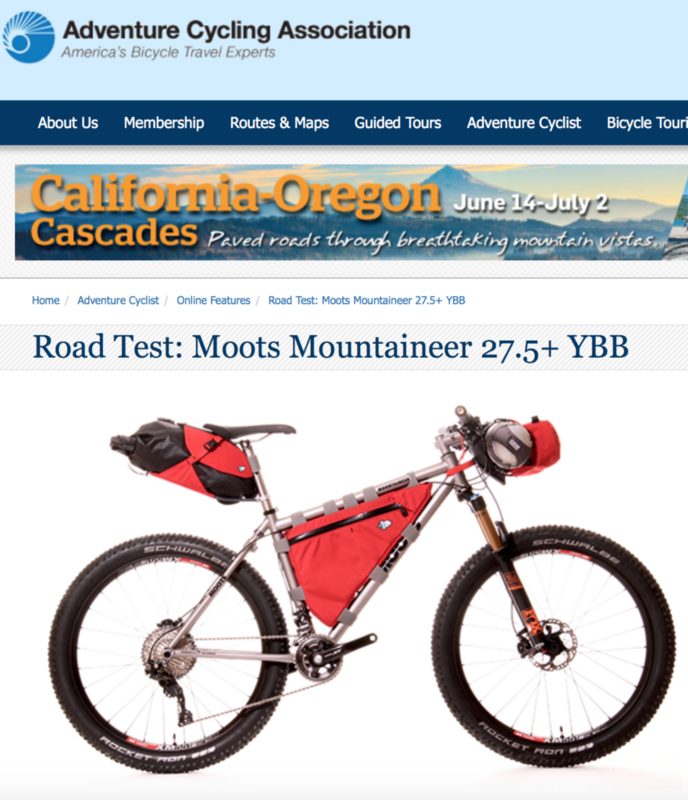 Moots forges ahead offering variety and individualty to our customers. 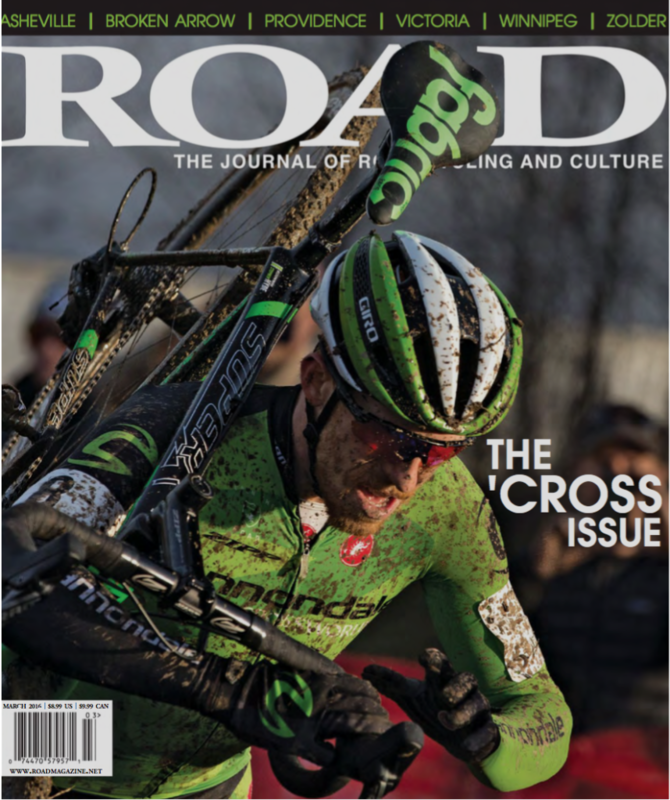 Road, Mountain, Cross and custom. 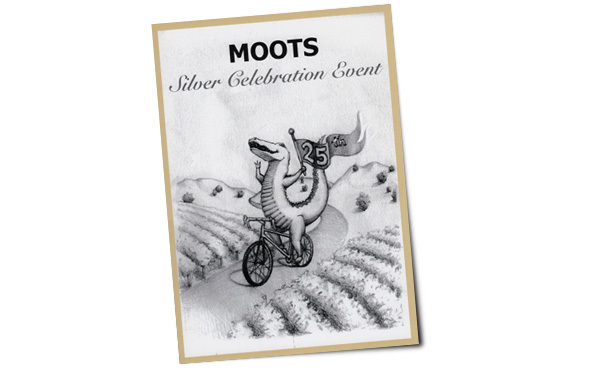 Moots celebrates 25 years with a Silver Anniversary event at the factory! exclusively for Moots. 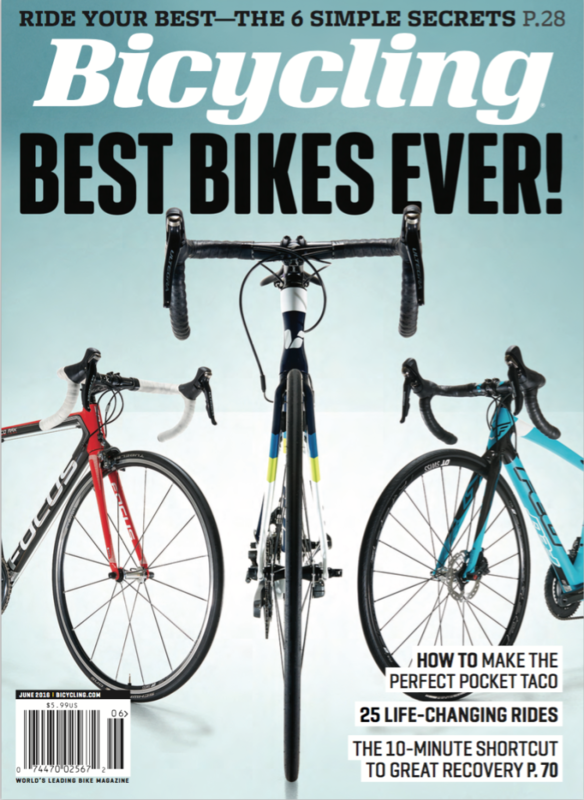 "Our mission is to create a bike that will make you smile"....that was our leading copy from the 2007 catalog. 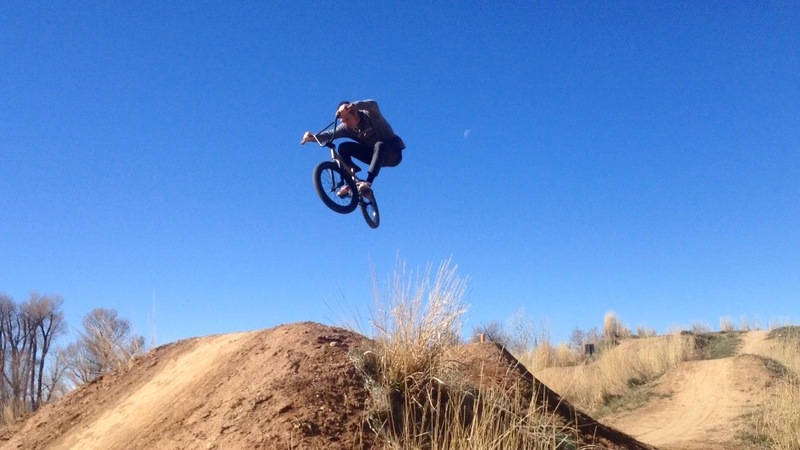 Bikes are fun, don't forget that. The MootoXz joins the line as a 4'' travel dual suspension 29er. 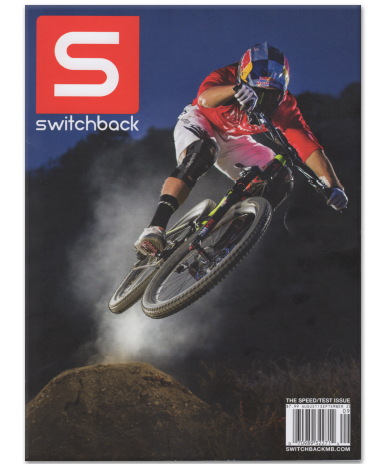 The CINCH Post seat post is introduced. 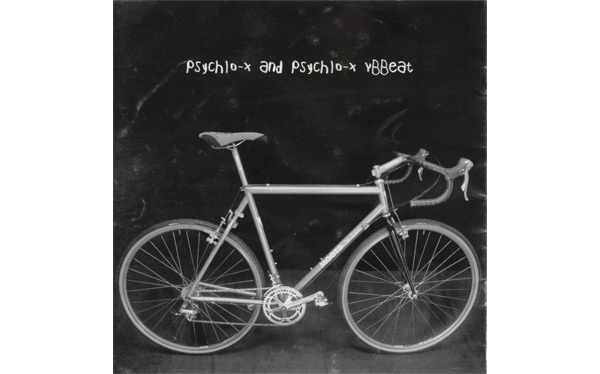 The Mooto X YBB 10th Anniversary Edition 29er is released. 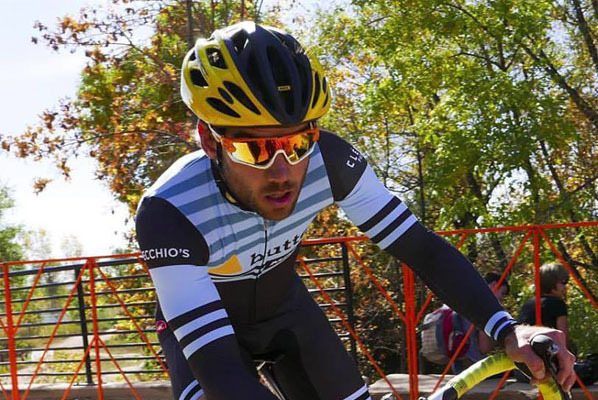 Moots’ own Jon Cariveau tops the podium at CrossVegas’ Wheelers and Dealers race. 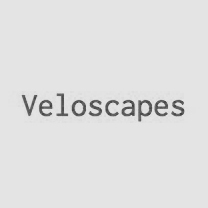 The Moots road Line is completely revamped with the unveiling of the new Vamoots RSL. 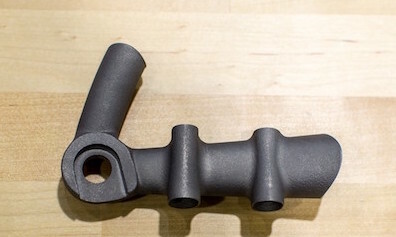 Keeping things light and stiff, the RSL stem comes to market. 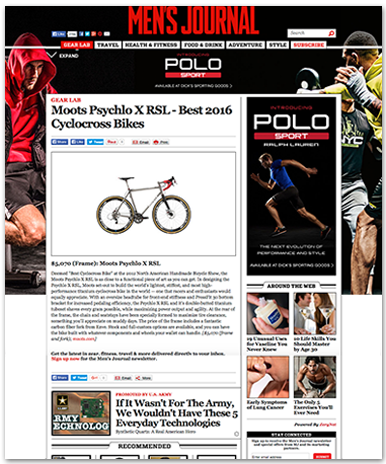 The Psychlo X RSL is crowed Best Cyclocross Bike at the North American Handmade Bicycle Show and receives CX Magazine’s “Dream Bike” Award. 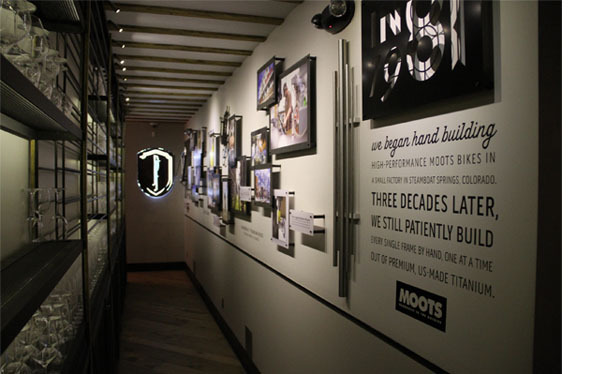 Pedaler’s Fork opens as the first-ever Moots boutique shop in Calabasas, CA. 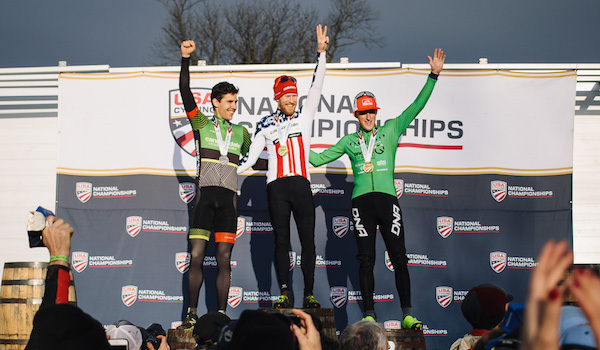 Jon Cariveau scores the Silver medal (45-49 masters) at UCI Cyclocross World Championships in Louisville, KY.
Moots ROUTT & ROUTT 45 are introduced into the line addressing the popularity of gravel riding. 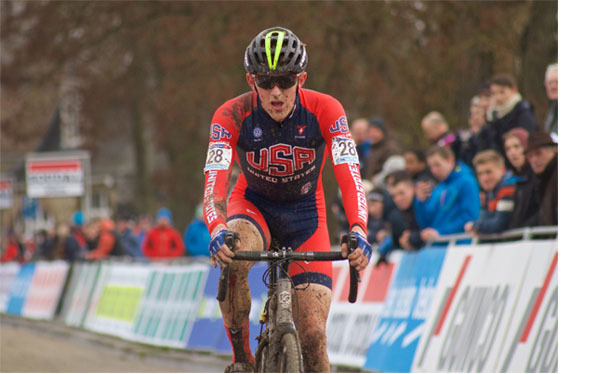 Gage Hecht wins U.S. 17-18 Junior National Cyclocross Championships and also places 4th at the UCI Cyclocross Junior World Championships on a Psychlo X RSL. 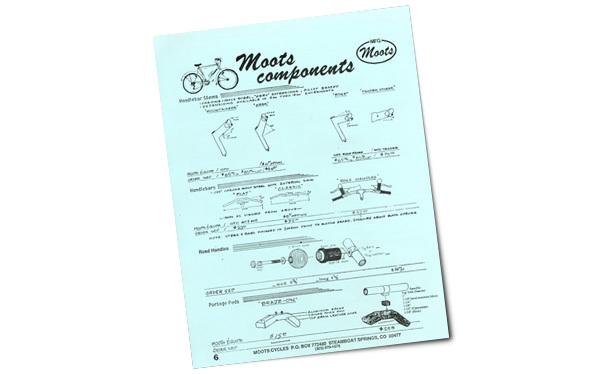 Moots is one of the first frame builders to integrate 3D technlogy into a flat mount brake mount. 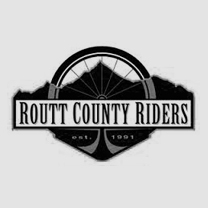 Adding to the Moots gravel line the ROUTT RSL is released. 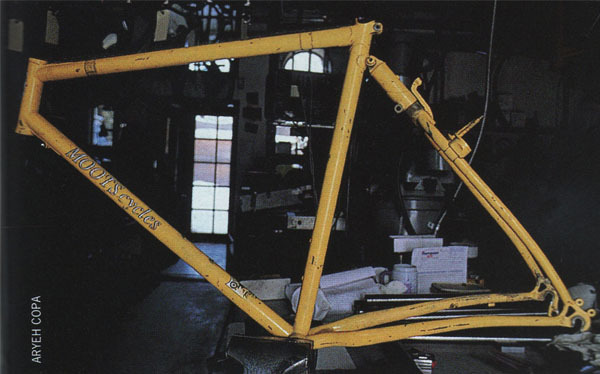 35 years handcrafting bicycle frames. A milestone by any account. 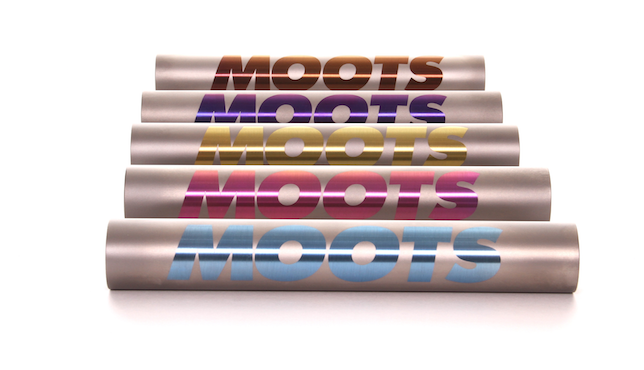 Moots introduces anodized finishes to allow customers to personalize their ride. 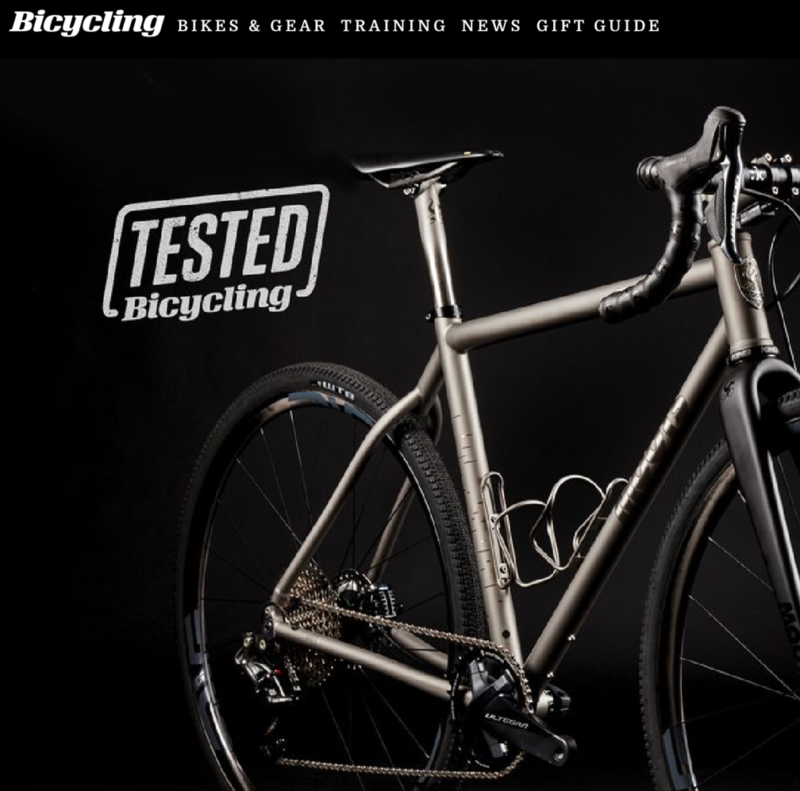 Moots brings a gravel/cx and road disc fork to market. Flat mount, thru axles and ride matched to our frames. 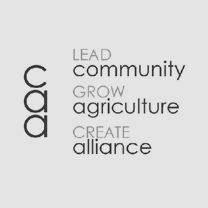 The 5th Annual Moots Ranch Rally gravel event is held, raising 5K for the Ag Alliance. 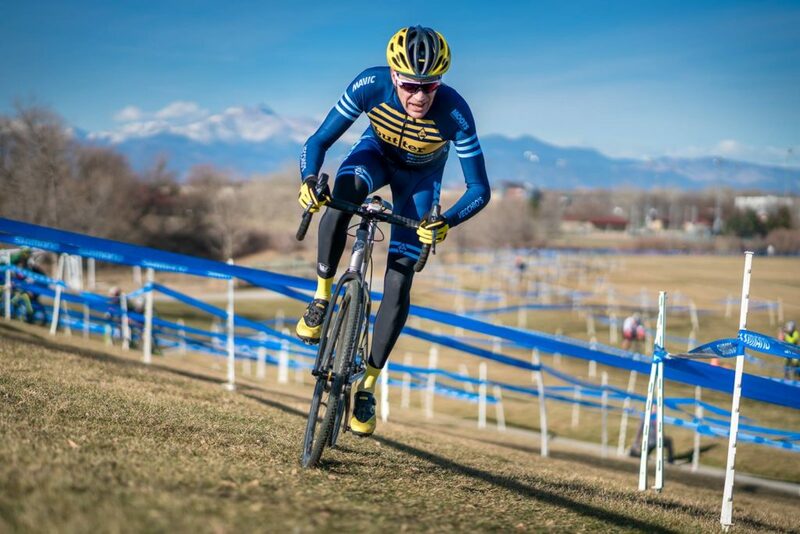 Gage Hecht at age 20 races his Psychlo X RSL to a 3rd place in Elite US Cyclocross Nationals. 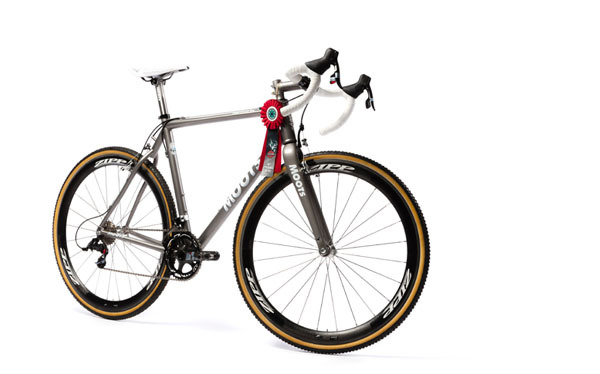 2008: Innovations from the classic name in titanium. 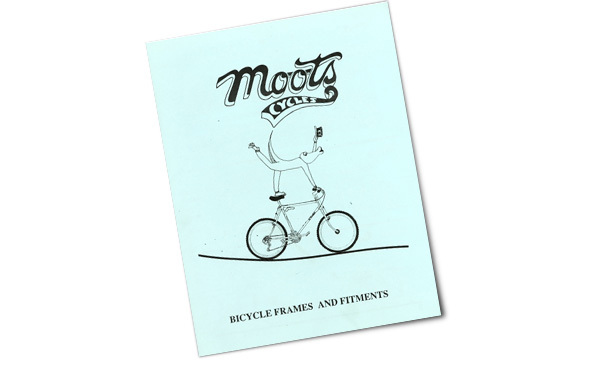 Moots Cycles has been handcrafting bicycle frames in Steamboat Springs, CO since 1981. 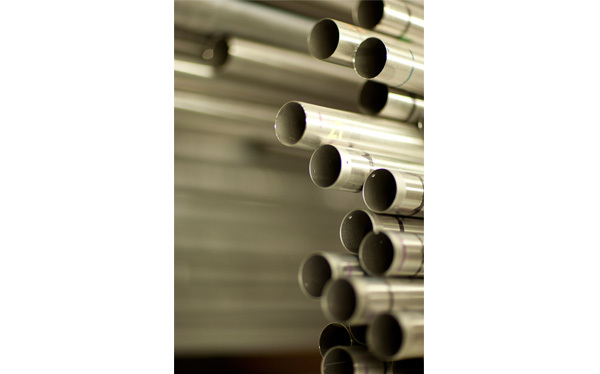 The company is known for building the finest quality titanium road, mountain, cross, and specialty bicycle frames, and select components from its facility in the Rocky Mountains. 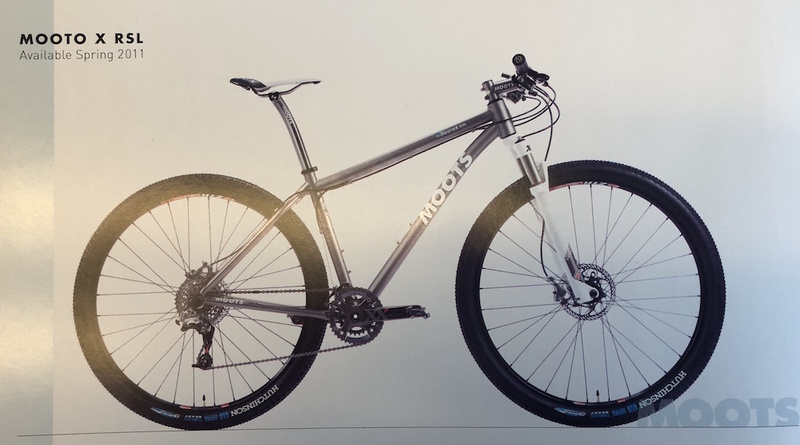 Moots bikes are enjoyed by cycling enthusiasts for their unsurpassed ride quality, attention to details and superior craftsmanship. 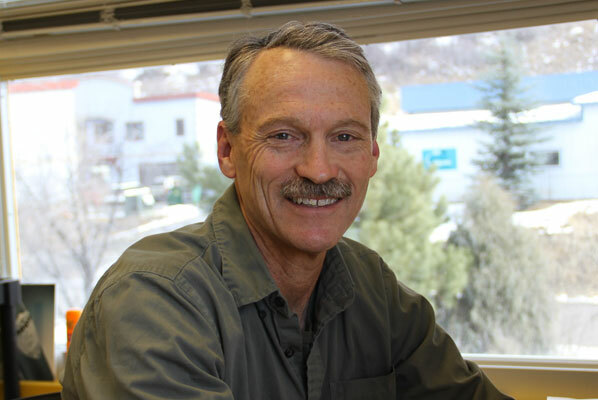 In recognition of Moots’ business leadership, product innovation and corporate/environmental responsibility Moots has been recognized as a Colorado Company to Watch. 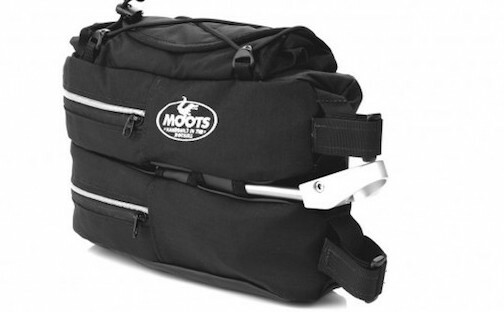 Moots frames and components are available from high-end bicycle dealers worldwide. 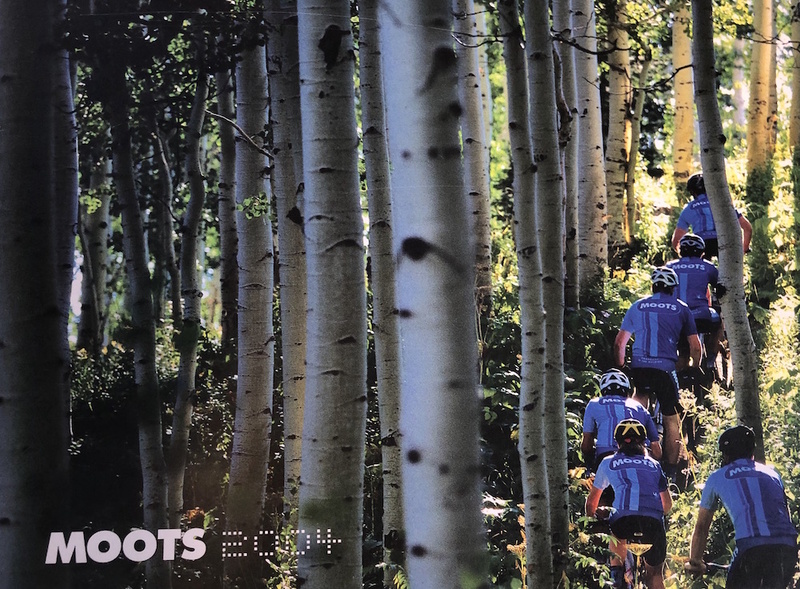 Moots employees contribute a significant amount of time each year to volunteer for various community support programs and cycling-associated advocacy efforts. We feel it’s important to give the extra effort to make our local community a better place for all residents and visitors, alike. 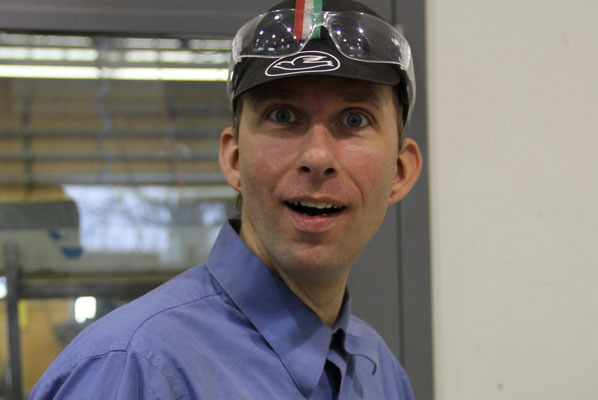 Every Moots employee receives $1 for each day he/she commutes round-trip to the factory. At year’s end, each has the opportunity to distribute the money they’ve accumulated to a charity of the team’s choice. Corn, carrots, radishes, lettuce – it’s all growing in the Moots garden on the south side of the factory. All harvests are split between those folks who have consistently cultivated the garden throughout the growing season. 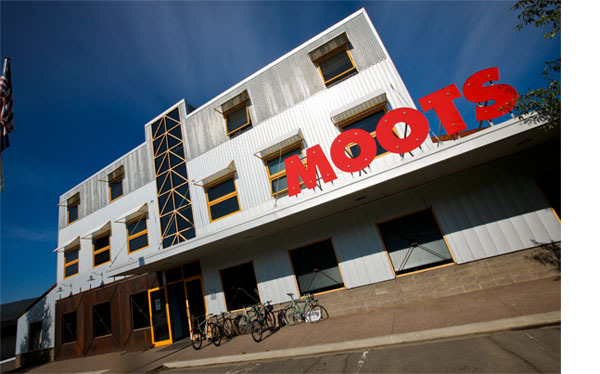 The Moots factory is outfitted with Solar panels on the roof in effort to cut back our reliance on the grid. 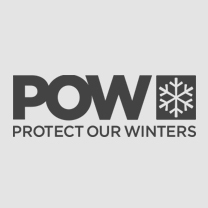 They provide about 10-14% of our monthly consumption. 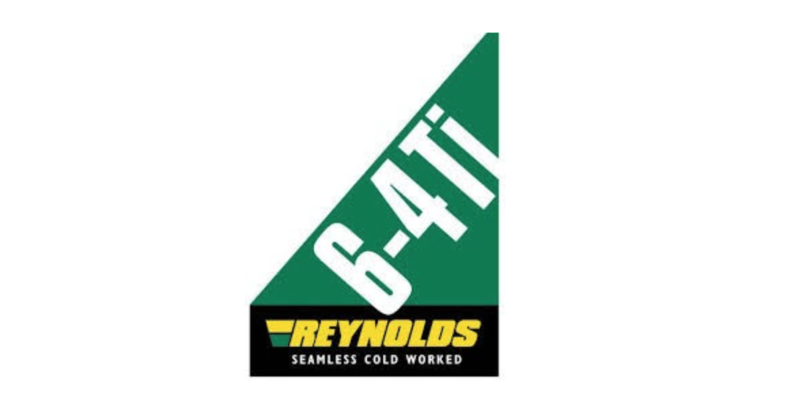 We recycle 100% of our part-offs and material waste as well as all paper, plastics and cardboards. 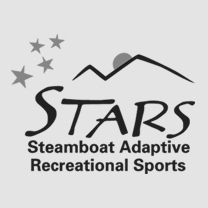 In recognition of our responsible business practices, the City of Steamboat Springs has awarded Moots with the Gold Certificate for Corporate Stewardship.